Introducing Pilot's new 'Parallel Plate Structure'. 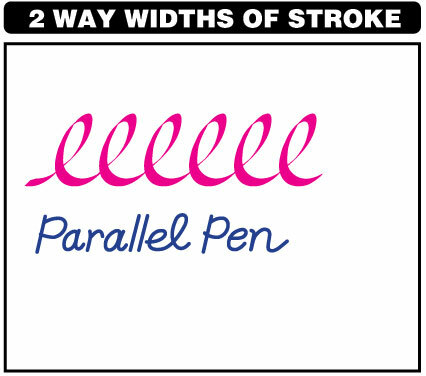 The nib point, which consists of two parallel plates, can achieve more beautiful and sharper handwriting than existing calligraphy pens. 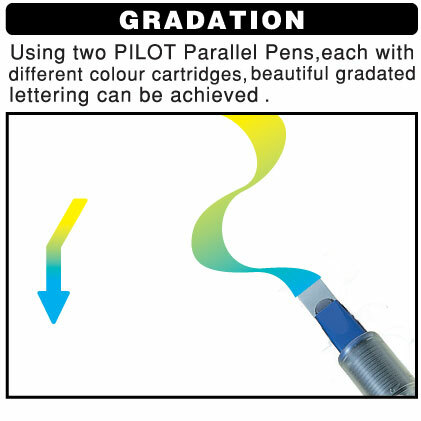 It can also produce attractive, graduated colours by transferring ink from one pen nib to another pen nib. Two different colours can then be used from one pen to achieve this effect. The single pens are supplied with 1 black cartridge, 1 red cartridge and a nib cleaner. Colours included in the 12 assorted pack are pink, red, orange, yellow, light green, green, turquoise, blue, violet, sepia, blue-black and black (one of each). 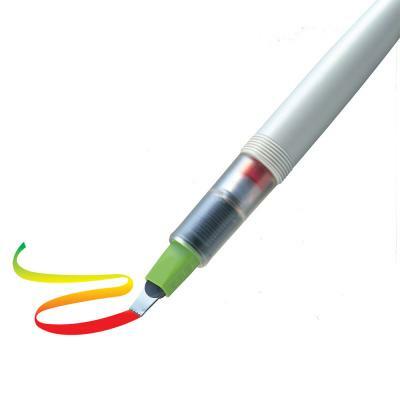 NOW PENS ONLY £7.95 EACH!